Update 03/23/2016: This article has been updated to reflect more information from the UC Board of Regents meeting Wednesday. 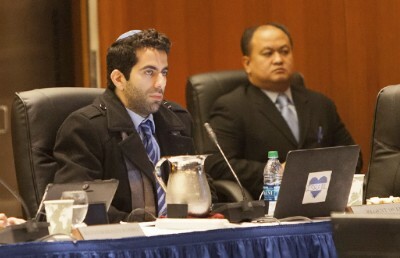 At its Wednesday meeting, the UC Board of Regents preliminarily approved a statement of principles against intolerance that condemns anti-Semitism but does not name anti-Zionism itself as a form of discrimination. The new version of the Statement of Principles Against Intolerance, released last week, expressly held anti-Semitism and anti-Zionism in contempt. On Wednesday, at the beginning of committee discussion of the statement, Regent Norman Pattiz proposed that the statement be amended to name anti-Semitism and anti-Semitic forms of anti-Zionism as types of discrimination, rather than simply anti-Zionism. “Anti-Zionism means a political viewpoint that is protected under the First Amendment, and it is a viewpoint that is open to debate, according to the principles of academic freedom,” said campus professor Judith Butler during public comment. At a March 17 meeting, the Academic Council of the UC Academic Senate drafted a letter outlining its concerns regarding the final report of the UC regents’ working group on the statement. In the letter, the council voiced its support of the UC regents’ affirmed commitment to defending freedom of expression and academic freedom in its principles against intolerance. The council, however, objected specifically to the inclusion of “Anti-Zionism” in the wording of the report. 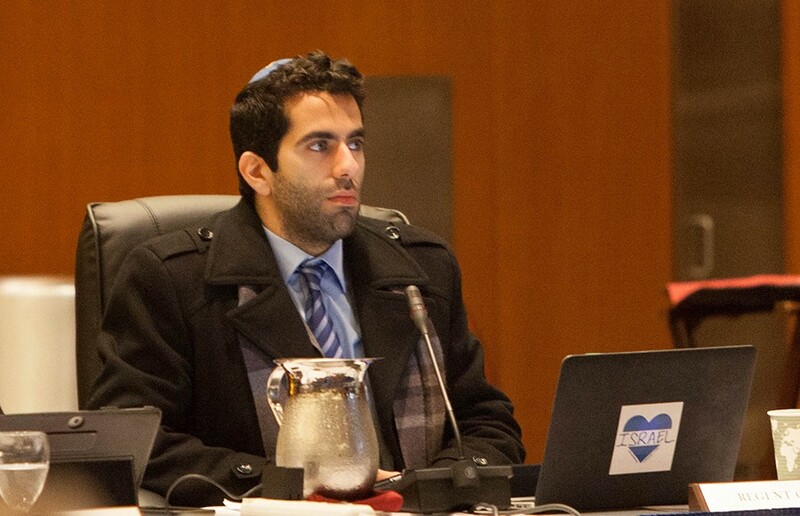 But Student Regent Avi Oved said at the meeting that anti-Zionist sentiment often erodes into the demonization of individuals and that the statement aims to protect students from such discrimination. He said he sees the statement overall as an opportunity to “move the needle” on many kinds of discrimination. Regent Russell Gould said at the meeting that he was concerned about enforcement of the principles and maintained that it is the responsibility of the UC president and chancellors to ensure their consistent application. The report outlines 10 points prohibiting discrimination. The statement was first presented to the board in September 2015, after which the board decided to rework the statement of principles to specifically address anti-Semitism after hearing public concern. The board also heard an update on mental health staffing on UC campuses. Regina Fleming, medical director of the UC Student Health Insurance Program, originally proposed a plan for increased funding of UC mental health services in September 2014. Fleming noted that students face issues with access to nonurgent psychological care. According to Fleming, students wait less than one day on average for an urgent concern but wait an average of 21 days to begin therapy. On Thursday, the full board will reconvene to finalize its approval of the Statement of Principles against Intolerance. Contact Suhauna Hussain and Harini Shyamsundar at [email protected].